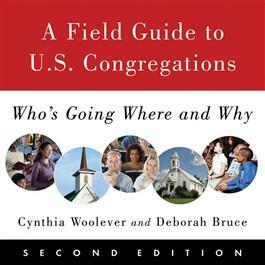 In 2001 the Presbyterian Church (U.S.A.) conducted the U.S. Congregational Life Survey. More than 1.2 million worshipers and 12,000 congregations across three continents were surveyed to provide a portrait of congregational life. The findings were published in the first edition of A Field Guide to U.S. Congregations. With the completion of the 2008 survey comes an expanded edition of this invaluable reference with new findings; updated statistics, tables, and cartoons; a new chapter describing changes in congregational life; and chapter summaries focusing on the implications of the 2008 survey. To listen to Cynthia Woolever and Deborah Bruce's interview about this book on WJK Radio with Dan and Jana, click here.